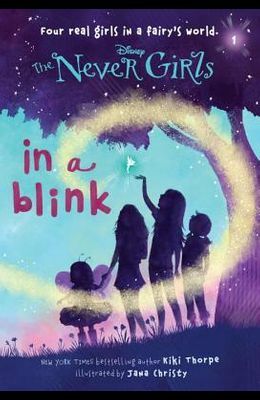 A New York Times Bestseller The Disney Fairies star in a magical all-new early chapter book series for kids ages 6 to 10--The Never Girls Kate craves adventure and excitement. Mia loves dresses, roses, and anything beautiful. Lainey dreams of talking to animals. Gabby believes in fairies more than anyone. In a blink of an eye, these four best friends all get their biggest wish--they're whisked off to Never Land, home to Tinker Bell and her fairy friends. The adventure of a lifetime is just beginning But how will the Never Girls ever get home again?